In 2016 I began the season racing in the US and then in July I went to Europe to race in France and Belgium. I won a race in Montreal. I went in feeling alright, but this was definitely a tough course with lots of steep climbing each lap. I felt comfortable the first 3 laps as the group went pretty hard up the climbs but didn’t struggle to stay in. 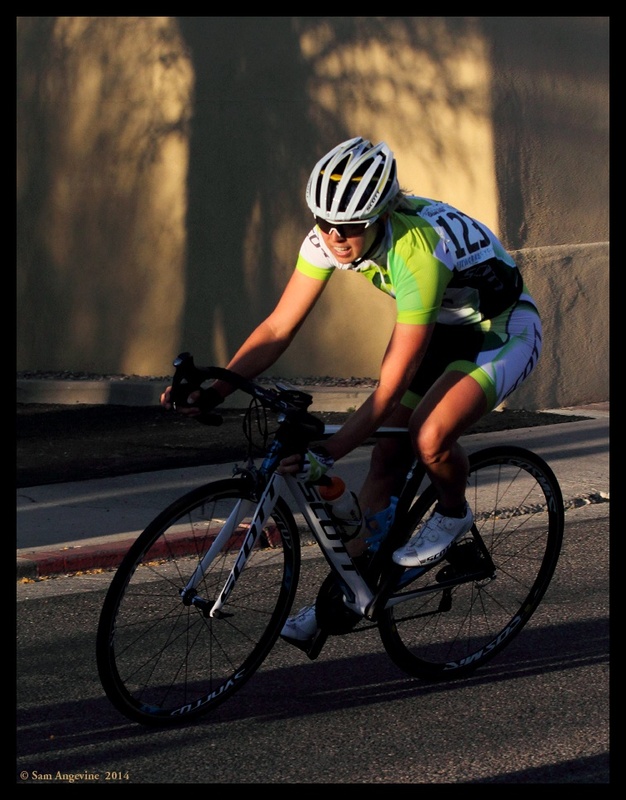 Then in the 4th lap going through the neighborhood another racer went down taking the girl in front of me with her. I don’t know who’s fault it was, all I know is I had no where to go and went down also on my right wrist. I got up as quickly as possible and tried to catch back on but the field was already too far ahead. I struggled with the pain of my wrist and some bleeding from my knee but still stayed in the race. In the final lap I actually caught a couple girls that had fallen off the pack and finished with them. 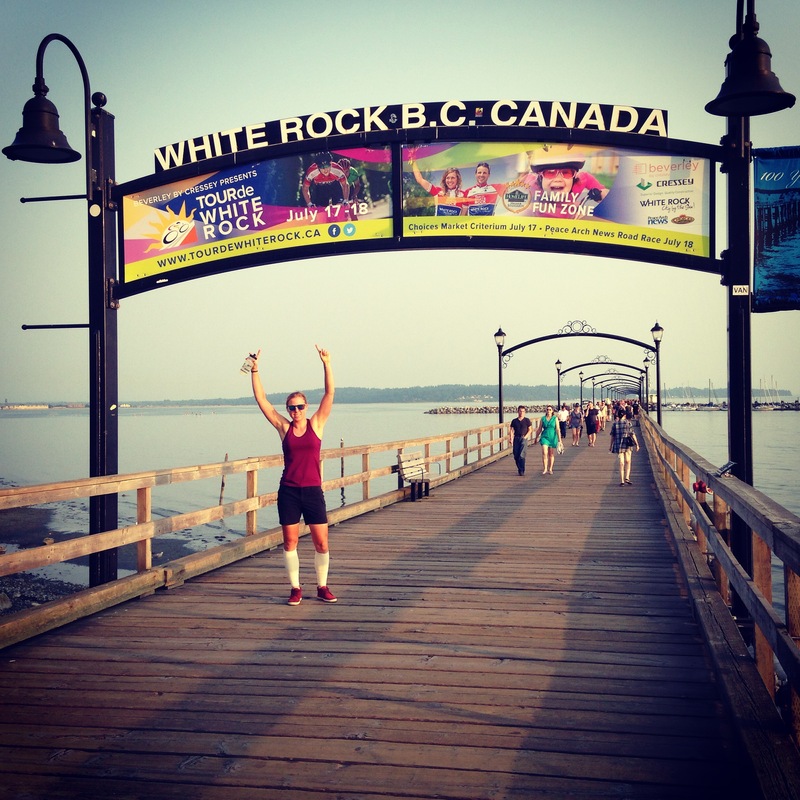 It was a tough and unfortunate day but I was proud to finish the race and conclude my first BC Superweek. With a great power climb of a hill each lap I had a lot of fun and it made the race extra difficult. 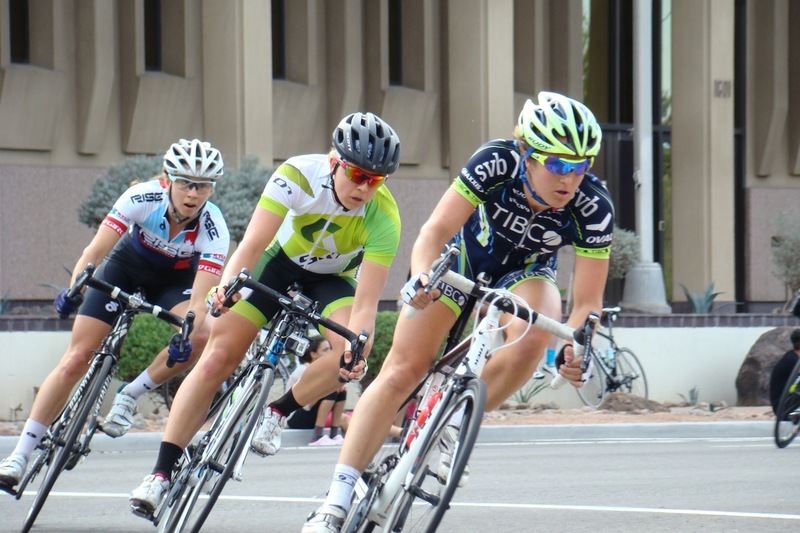 From the gun it was hard as Shelley Olds was on the attack and strung out the group. The field split and had only about 20 left in the end. Into the final hill I didn’t have the best position so when the winning attack was made on the last climb I wasn’t able to get on it. I’ve learned it’s all about positioning in crits and crucial to be tough the last couple laps. Wasn’t my favorite course with a complete 180 degree hairpin turn, but I made the best of it and went with the race and attacks. I even made a couple attacks myself just to mix things up and see if I could get a break. But in the end it came down to the sprint and the long slight downhill to the finish line. Fast from the gun, and didn’t get much of a warm up as all of downtown was over taken by the bike frenzy of this huge race. 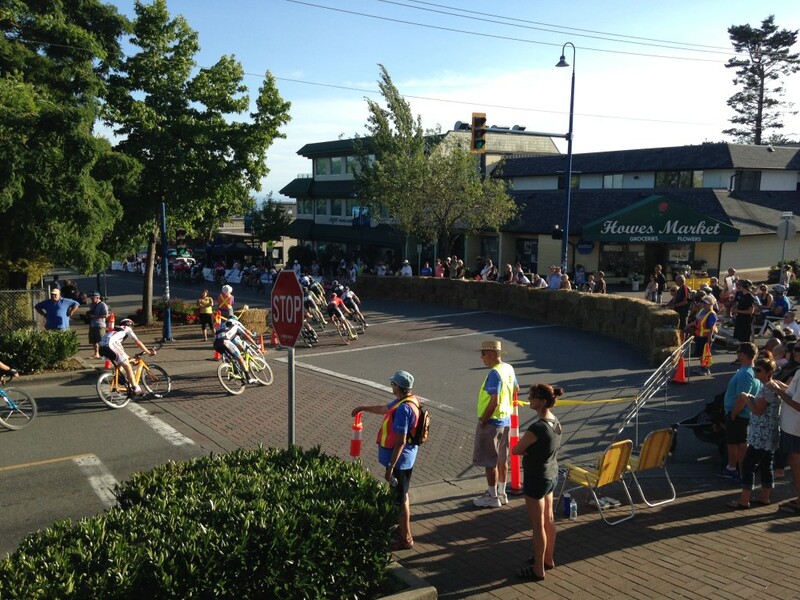 It was like a giant bike race party with spectators cheering all around the course. I stayed in the mix but early on Denise Ramsden broke away and went solo, she stuck it the whole race and won the overall. I made sure my positioning was good and worked hard the last lap. But I think the tough roads and fast pace took some of the punch and power out of my legs so the final long finishing stretch wasn’t my best sprint. Was feeling good and in position for the final lap, but unfortunately got caught behind the wrong person in the back stretch and wasn’t able to be were I needed to for the final turn. Fun race but frustrated with not pulling it together in the end. 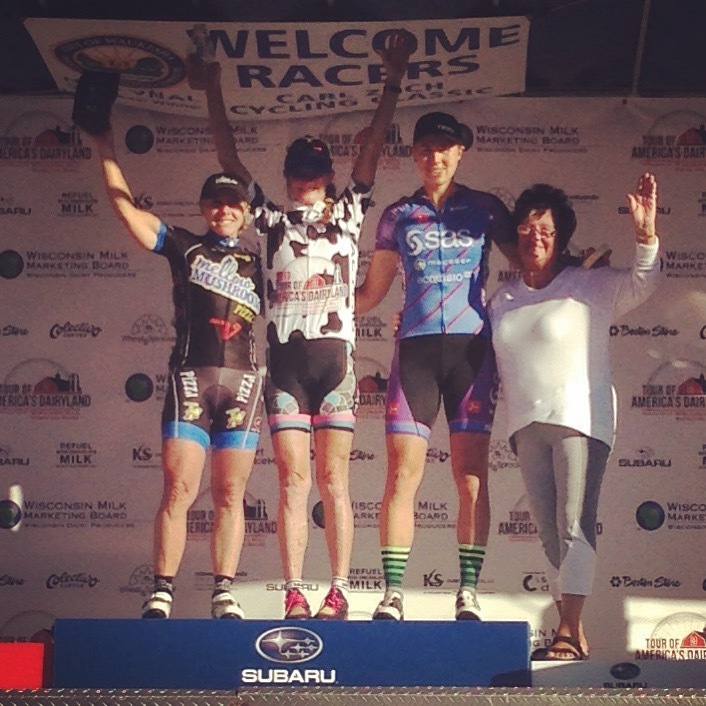 Third race, White Spot Delta UCI Road Race: 11th Place. 8 UCI Points in the books!!! Soggy number and soaking kit after today’s White Spot Delta UCI Road Race. It was a technical 8 lap course with lots of turns though neighborhoods. We got the whole package; crashes early in, attacks, pouring rain about halfway through which resulted in me crashing, then catching back on. Then with 2k to go I attacked to mix things up (oh and nearly going down again on the last turn). Finally sprinted to the line in the pack for 11th place. Was great to race on the Garage Racing composite team and with Shelley Olds. She took 1st and so proud I got to race with her and work together. Huge Thank you to my Sponsors and supporters… Integrated Health Distributors keep me healthy, Butterfield & Robinson keep me employed in the off season, and Maxim nutrition keeps me hydrated on the bike! Bellissima gara oggi, molto animato … cadute, pioggia, scatti, tutto!! Sono arrivata 11 e mia compagna di squadra la Shelley Olds ha vinto, grande!!! 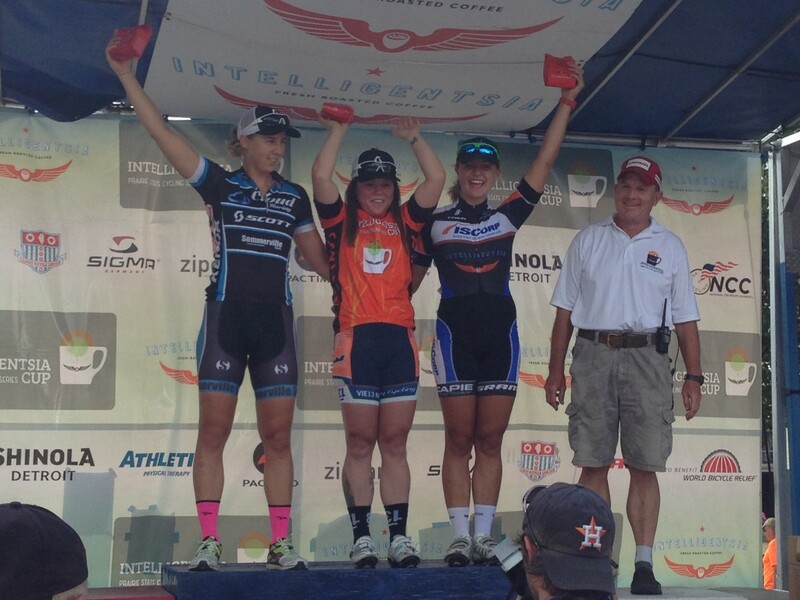 Second race, Brenco Crit, Tour de Delta: 4th Place. Flat, fast, fun course. A couple turns were a bit sketchy but stayed near the front. Then about 3/4 through the race it started to rain lightly and a crash happened behind me in the field. I made sure to stay in good positioning thoughout, and even with attacks and a fast pace I felt comfortable going hard. Then into the final couple laps I made sure to be at the front. I knew positioning was going to be key going into the last 2 turns. 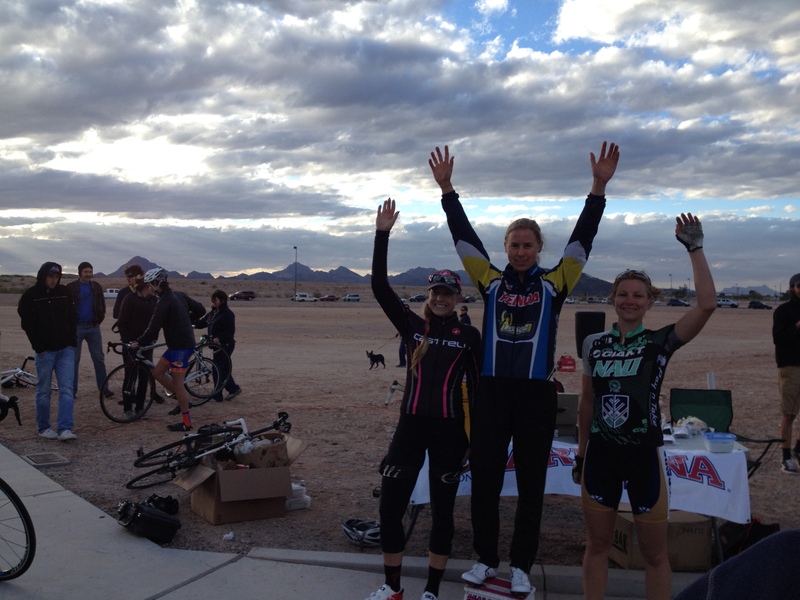 So on Leah Kirchmann I locked myself and found myself coming to the line right behind the top sprinters of the raced. Leah, Shelley Olds, and Loretta Hansen. Great race and progress every day. 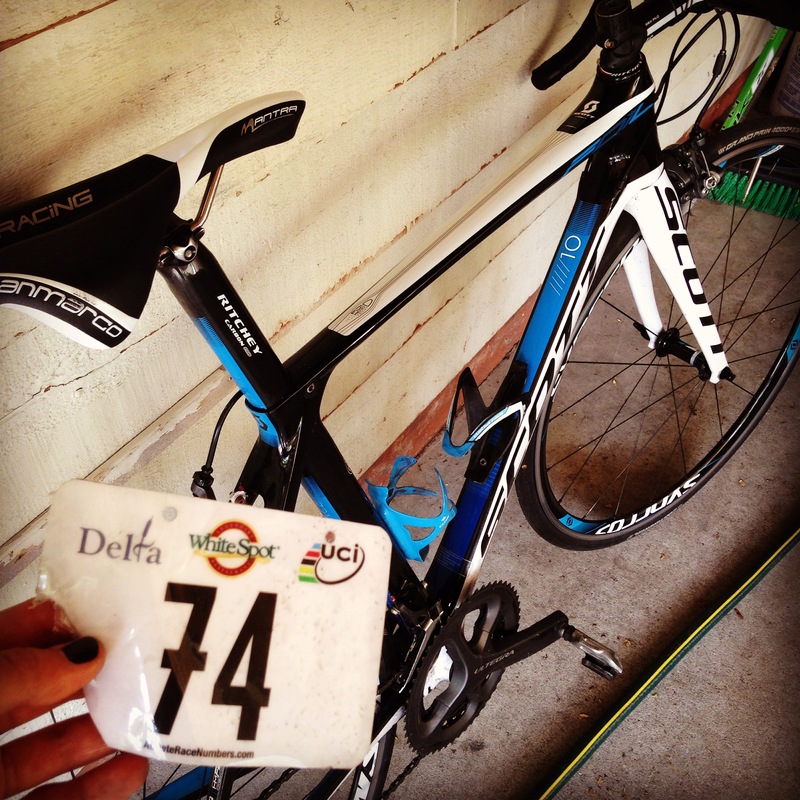 First race, MK Delta Crit, Tour de Delta: 9th Place. Would have been better had I not had cramping problems starting 10 minutes into the race. That really sucked and couldn’t sprint in the end because my legs were so fatigued from the cramping. But good for the first day and excited for the races to come. 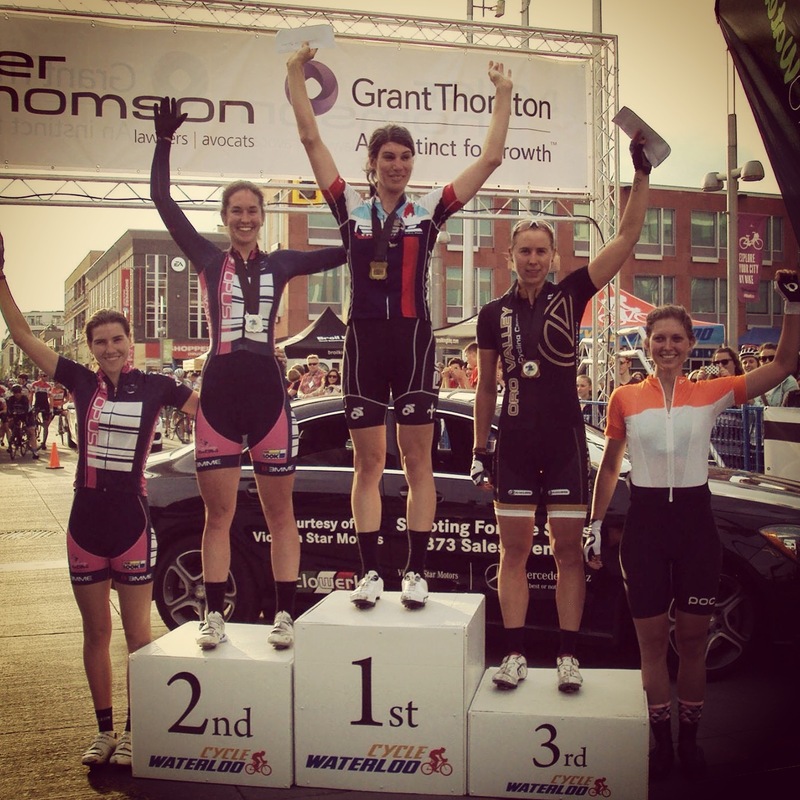 3rd place at the Kitchener Twilight Crit. Mechanical on my bike prevented me from sprinting, so I didn’t make the 2 person break, but I did win the final sprint by breaking away in the final lap. 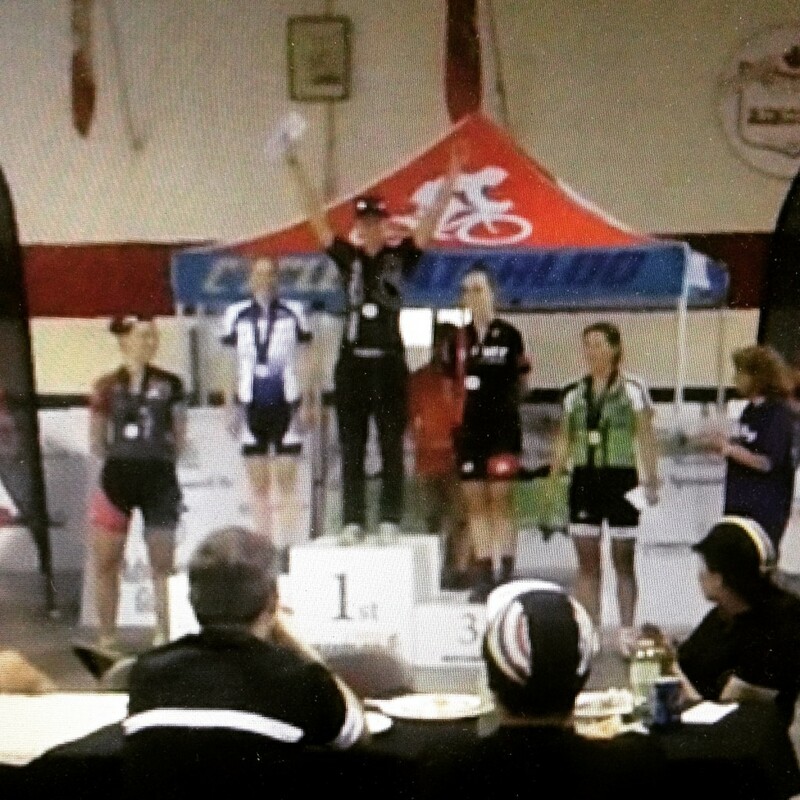 1st Place at the Tour de Waterloo, 133km. Gran Fondo style race so with the men finish 14th overall. 215 started, and over the 133km of rolling hills, windy straights, and fast single file pace the group dwindled down to a break of 8 and then 15 (which included me). I raced hard and conserved energy when I could as I knew I had to stay near the front to not be dropped in the cross wind or difficult sections of attacking. The race included great legends like Steve Bauer (11 time Tour de France competitor, and wore the yellow jersey for 14 days), Bruce Bird (masters world champion), and Ryan Roth (Canadian national champion). It was a great experienced and pushed me hard, I definitely know I have the potential and ability to race among the best. Felt good to dig deep and work hard. Considering I’ve been on this bike once since last June it was fun and got me excited for this season and more focused TT training in Tucson. 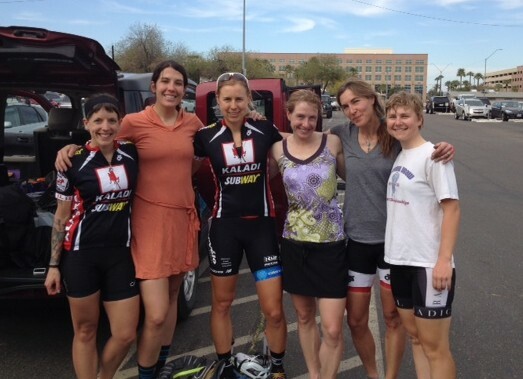 Great to see all the women out racing and starting up the season in AZ! So excited for 2015! Thanks to Integrated Health Distributors for the awesome recovery, Rejuvinate! With 4 laps of the race a couple small breaks went up the road early but were caught soon after. In the 3rd lap however one break went and was the one that stuck. Being in the right place at the right time is key in cycling and for this race I wasn’t. Into the final lap another rider and myself tried to break away or at least keep the race moving and exciting. But despite our efforts the larger teams that wanted to defend their teammates in the break did not let us go. So up the final hill and into the finish I powered for an ok day. Nothing spectacular but my endurance and strength at the end of the race felt good and excited to keep building. With a field of 100 women and taking turns at 40+ mph, it was like diving in head first into a swimming pool. Oh yea, this is what it feels like to race a Criterium again. It was fast and dynamic and lots of action. I stayed focused on moving forward and being in good position for attacks. With 5 to go another strong rider who I worked with yesterday went for an attack and I got on her wheel. We gapped the field for about half a lap, but so close to the finish they didn’t let us get far. 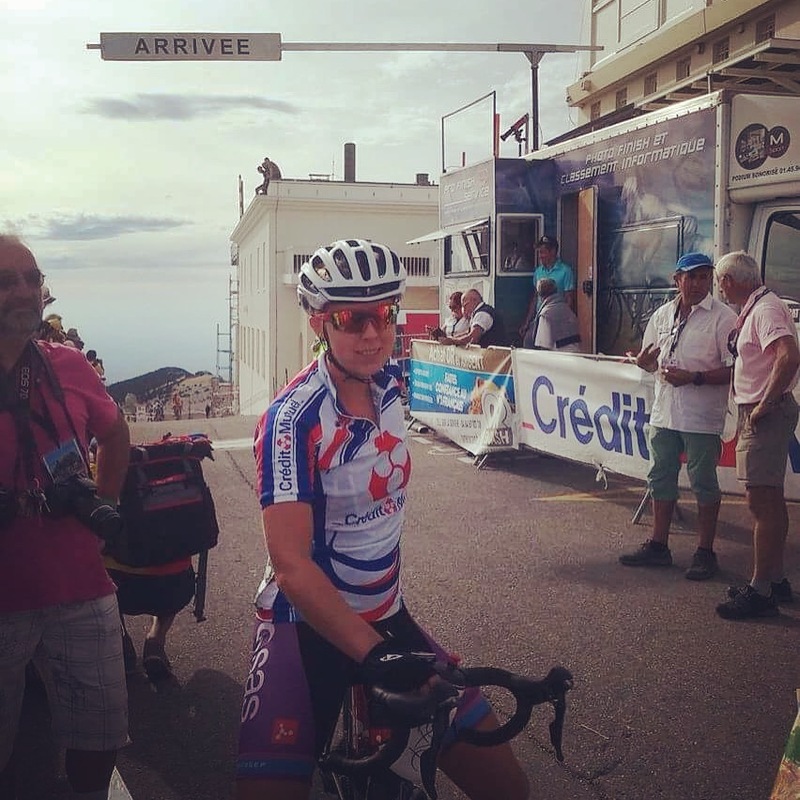 We were brought back into the group and so I worked to maintain positioning and rest my legs for the finish. On this course it was the second to last and last turns that determined the race. I was not in the best positioning going into those turns so did not make the front group for the finish. I am disappointed in that, but am happy with my fitness and endurance to not feel tired when the race got hard. Now its a matter of working on my turnover and race speed to get ready for a strong season. 16th Place. The 13 laps were fun and fast around the Larry H. Miller Motor Speedway. I worked to try and get my teammate Starla to the final laps without doing much effort so she could sprint. She finished 8th. Lots of fun and a very solid and competitive field. Race 8, Downers Grove- 2nd Place. 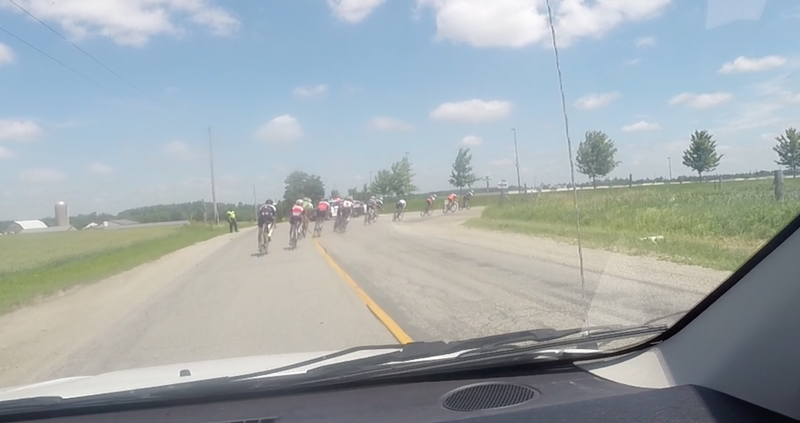 About 15 minutes into the race on the back side of the course a dog walked out into the road and into the middle of the group racing ahead of me. The dog freaked out as riders went around it and crouched and froze right in front of me. I kept it up and didn’t crash but also barely managed to run over the pooch with my front tire. When the owner finally came over and got his dog I composed myself and rolled to the pit. Once restarted I had to chase back on as the field was completely broken up by the dog mishap. Then in the front group after a lap on the same stretch where the dog came out Morgan Brown made a small attack off the front and I went with and then countered around her. She came with me and before I knew it we were solo and breaking away. This was with about 10 laps to go and we worked hard to hold it to the finish. I wanted the win and so attacked her with a lap to go, but she held on and then sprinted just before the finishing. It was a fun race and worked hard. Race 7, Chicago- 7th Place. Tried for many attacks and broke off at one point with Tina Pic and Gwen, but Tibco organized and caught us. I attacked again with 2 to go but didnt manage to gap. So it came down to the final sprint and I surprised myself with how much I had left after putting in some hard efforts to break off. Race 6, Elmhurst- 13th Place. Race 5, Beverly- 4th Place. After lots of attacks, one 3 person break stuck after about 20 min into the race. I attempted to attacked to bridge or get away, but because of mechanicals with my chain I came so incredibly close to crashing that the spectators were applauding me as I walked to the pit. Once back in I tried again only to have it happen again and knew if I stayed in the pack would really risk the safety of the other riders if this mechanical with my chain kept happenning. So I found the final stretch as the prime location and put in a solid jump and got a gap. This was with 6 or so to go and once I had some space I got into TT mode and drilled it. I stayed away the rest of the race, and finished with a solid 4th place. Fun and hard effort for sure. Race 3, Crystal Lake- 8th Place. Couple breaks but did not stick so came down to final lap. 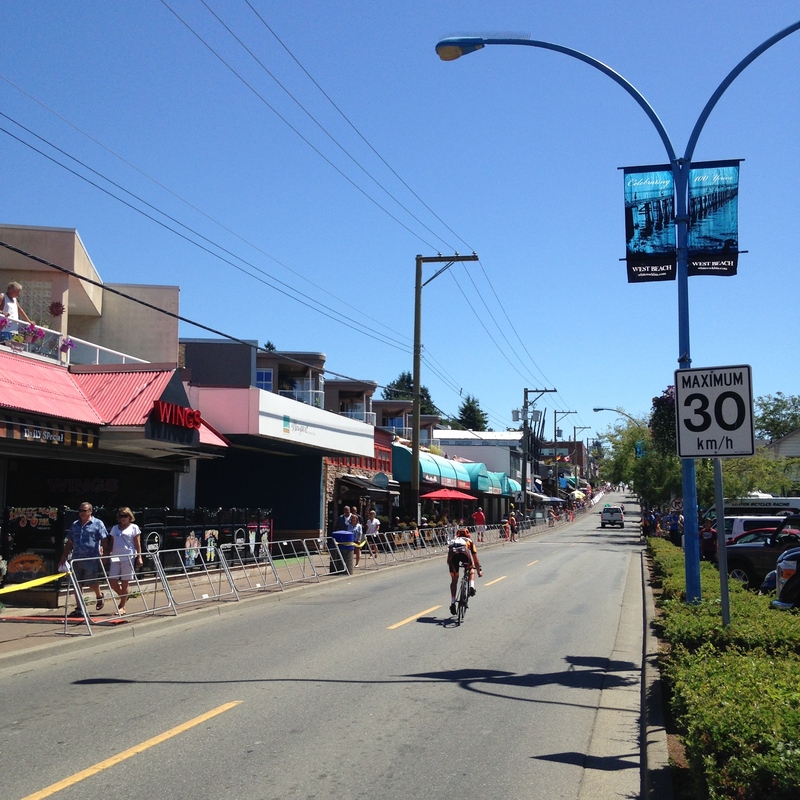 Positioned pretty well for final sprint and able to get past a few riders for a solid top 10. Race 2, Lake Bluff- NCC race was fast and with 3 sharp turns made it technical. I attacked with 2 laps to go and stayed away solo till the final stretch before being swept up by the Colavita power train. Still a fun race though and a solid hard effort for the win. Race 1, Waukegan- 15th Place. Fast and fun with lots of attacks and small breaks going up but then getting swept up. Came down to the finishing sprint and I put myself in a good position but am not the sprinter needed to dominate this race today. Working hard to get back into racing fitness after my injury and building. North Star was tough with lots of hard competition. ToAD was exciting to race everyday and build my ability and strength. 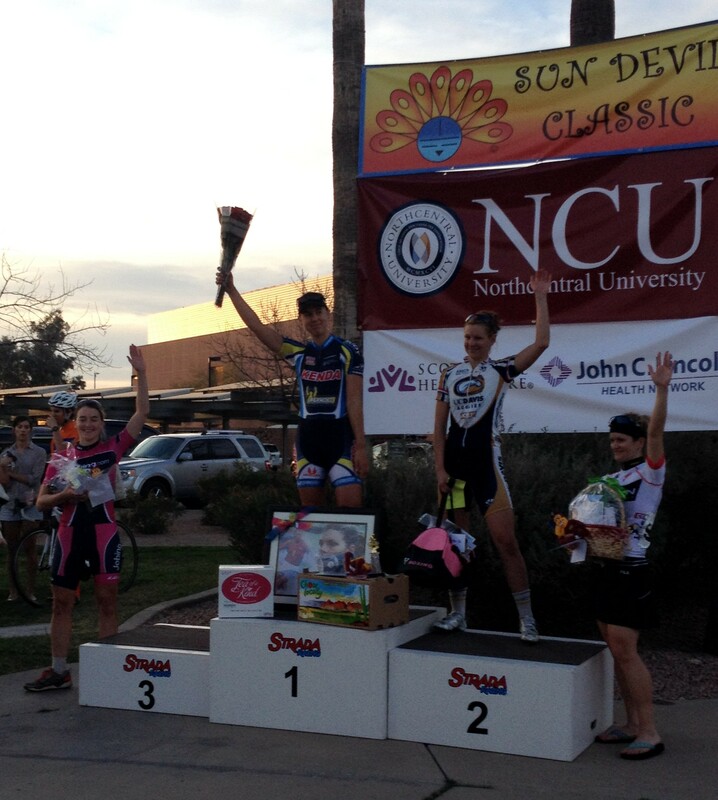 Worked primarily for my teammate Starla Teddergreen who finished 7th in the overall GC of the omnium. Wanted a much better result and felt alright starting out, but when the big demand came later in my body just wasn’t up for that kind of push. Couldn’t have huge expectations considering this past month, but have to stay positive and love being out here competing. 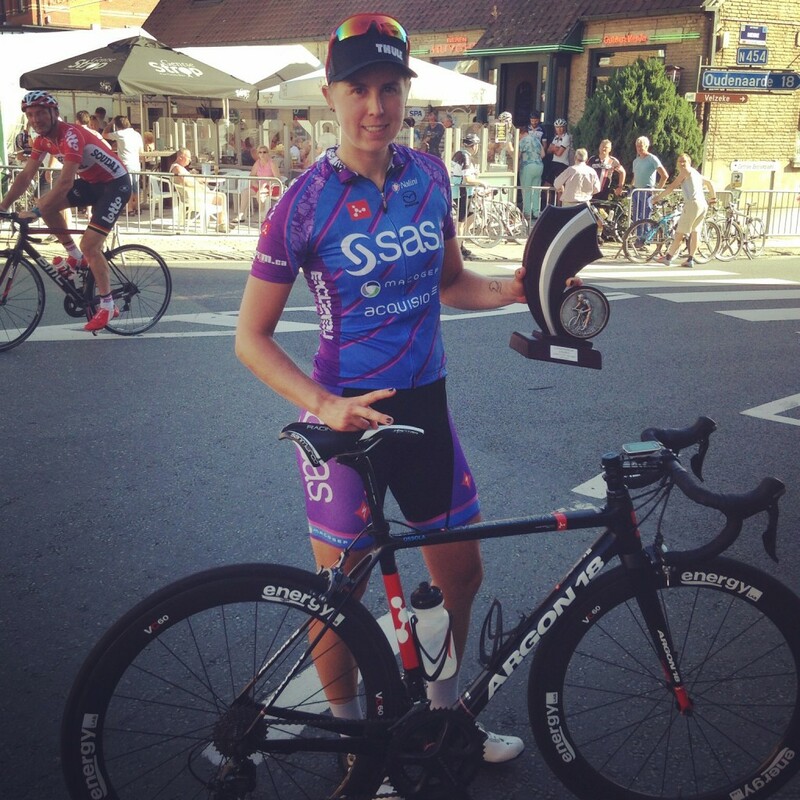 Finished 52nd in the General Classification – 28th in the Beaumont Road Race – 17th in the Criterium. Redlands Bicycle Classic fatto! 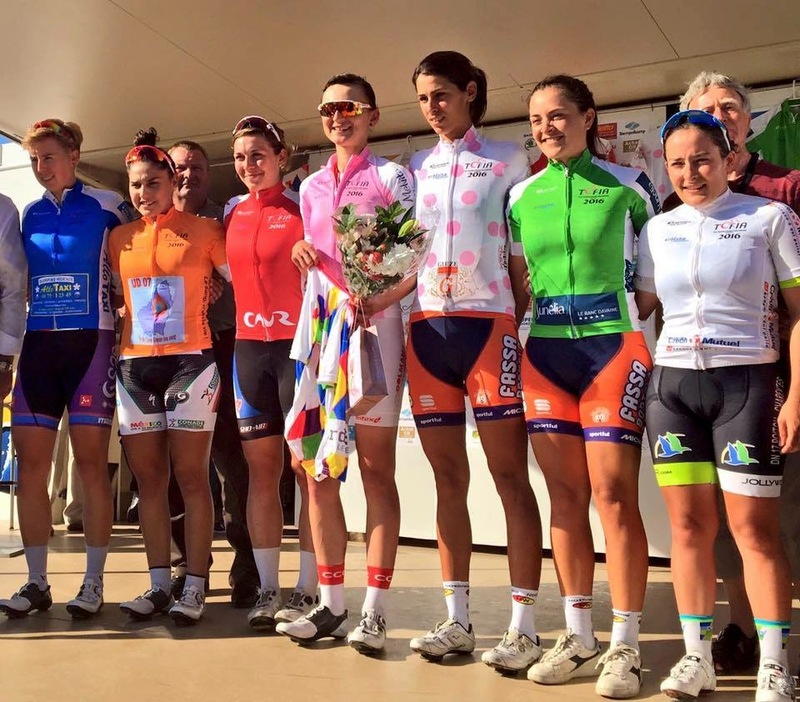 5 tappe veloce con tante salite dure e squadre fortissime! Prima volta facendo questa gara e devo dire che volevo fare meglio, ma e stata una esperienza bellissima. Non vedo l’ora per la prossima gara, Joe Martin Stage Race in Arkansas a metta aprile. 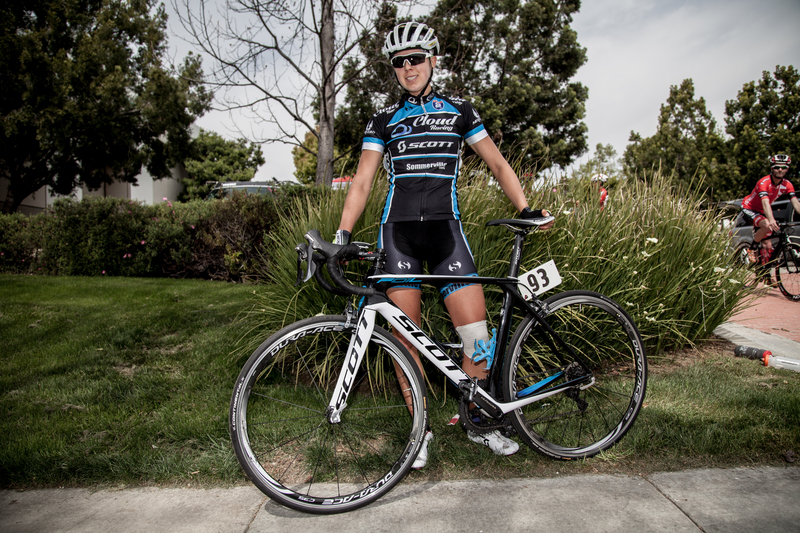 Redlands Bicycle Classic finished! 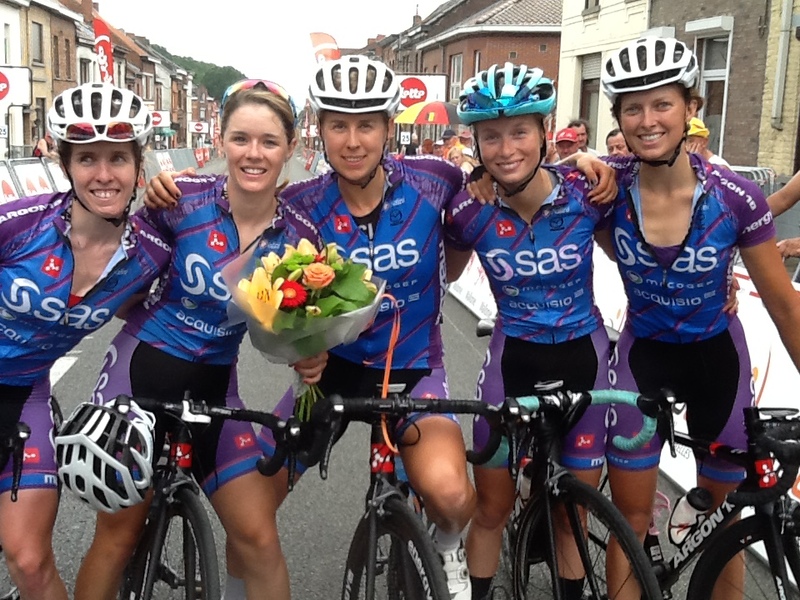 5 stages fast and tough hills with some great teams! First time at Redlands and I must say I wanted to finish better but it was a great experience. I raced hard and feel strong, but the caliber of racers, experience on the courses and the teams in particular made it difficult to excel in the stages. It was great to work with my team though and build more comradery that we can carry into the rest of the season. Excited for the next race, Joe Martin Stage Race in Arkansas in a couple weeks. It was a fun and intense 3 days of racing. 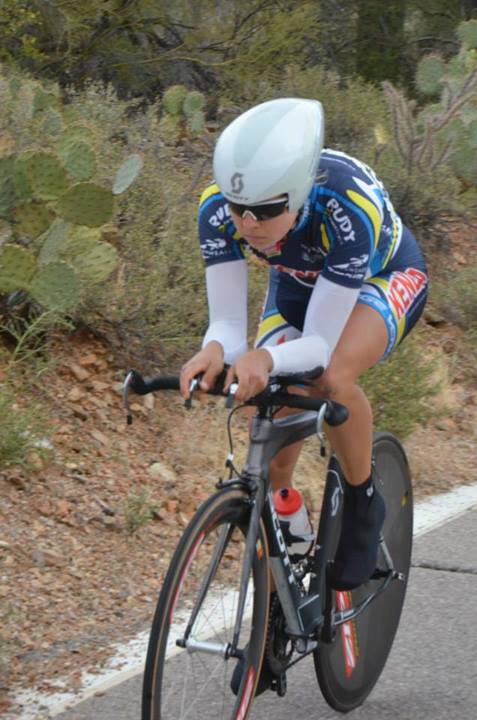 The time trial was hard, especially considering I am not a climber but I worked hard and finished strong. I had also driven from Tucson the day before and felt my legs still blocked up from the long car ride. The Road Race was quite eventful- Starting with an hour delay due to necessary inspection of the Dam we would ride over; because of the earthquake the night before (this alone was a first time experience that got my heart racing). 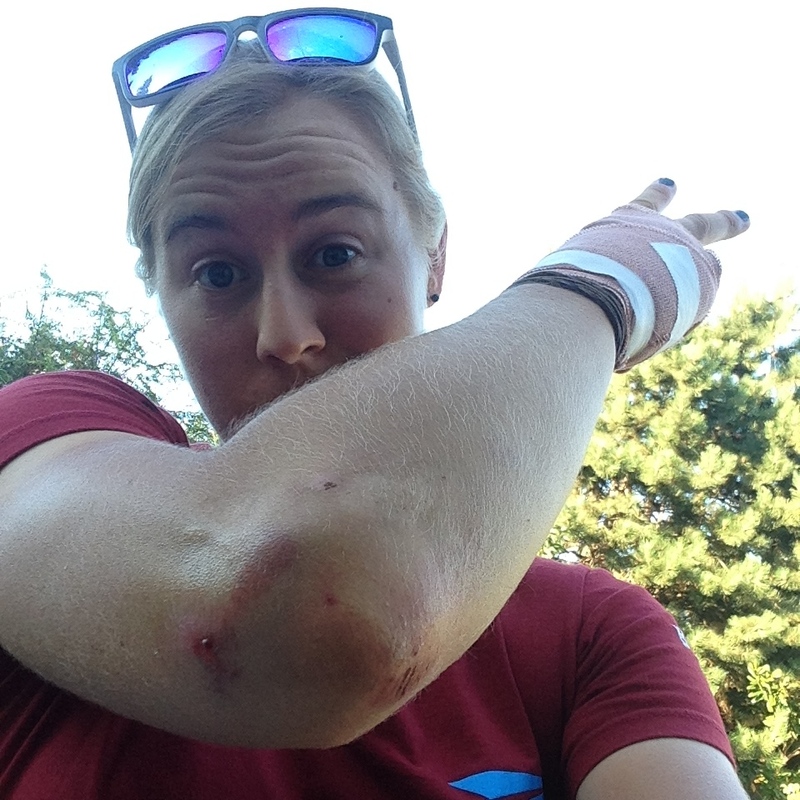 Then when we finally started, the group was tense and the course sketchy, so I made sure to stay near the front… because sure enough in the first lap there was a crash midpack. After that, the group never let up and there was constant movement and attacks. The Criterium on the last day was fast, hard and really fun- I worked my way to the near front and never let up once there. Knowing position was everything for the final sprint I made sure I was in a good spot for the last lap. Just behind the main sprint group I didn’t finish on the front line, but I felt solid and strong arriving to the line in 10th. Now to get rested for the next race, Redlands which starts Wednesday. After about 15 minutes of racing a group of 12 broke off which I bridged to and cooked my legs pretty good in the effort. 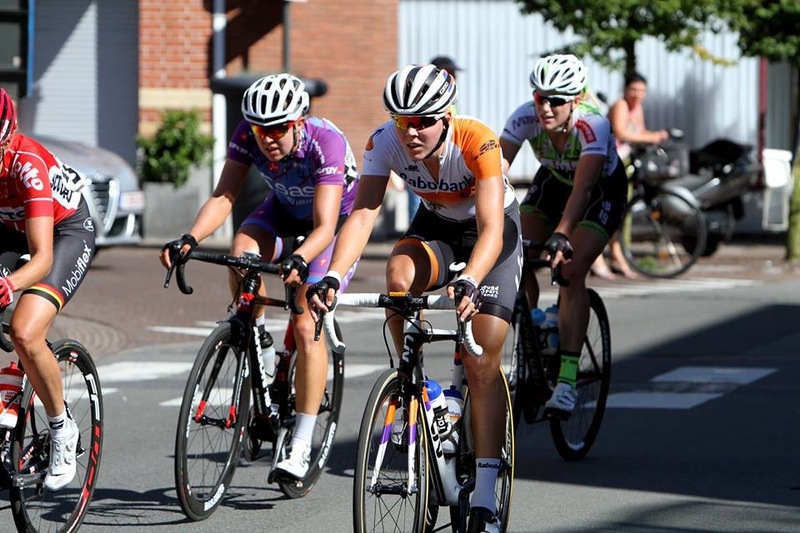 After that attacks by Colavita and Optum where Optum’s Lauren Hall went solo off the front and the group was not able to bring her back in. In the last lap I wasn’t positioned well for the last turns which pretty much determined the final placings. It was a good race though overall, a lot of fun, and a great start. Not the results I would like or expect from myself, but for the first stage race of the season and considering the hard month of training I was not the freshest for putting in a max effort. Each day felt better and had a ton of fun with my new teammates. We worked well together and communication was great. Everyone had a positive day and the weekend was a team success to start out 2014!